Seventy percent of our body is made of water. Thus, water is very important for our body. Water is very good tool for our digestion and for our health as well. Water plays a vital role in all our bodily functions or rather pure water plays a vital role in all our bodily functions. If the water we consume is not pure, then it becomes the route cause of all diseases and other problems related to our health. And with rising levels of pollution, purity of water has become the priority in our lives. Due to pollution, there is change in climate every few kilometers. Thus, there are lot of impurities in the water we get in our country. So, RO water purifier has become necessary in modern times. The water we drink or consume is supplied from lakes or rivers. Water of lakes and rivers usually contain slight amount of contamination. And that slight amount of contamination, is enough for giving birth to diseases such as Cholera, Typhoid, Hepatitis A etc. Thus, best RO water purifier is required to get the pure drinking water. In this competitive world, companies manipulate us by making advertisements which play with our emotions. They show a lot of things in the advertisement which does not exists in their product. And when it comes to water purifier, you never know whether your water purifier is removing the impurities or not. Most of the impurities in water are invisible so it gets difficult to judge and come to a decision that this company's water purifier is the best water purifier. I am writing about it because I have gone through this process recently. I was unable to find a difference between the RO water purifiers of different companies till I saw the demo. 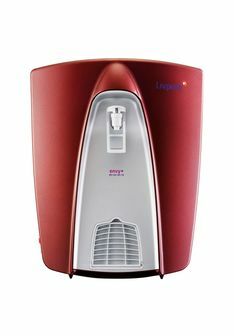 Among all the brands, the RO water purifier which impressed me the most was Livpure RO water purifier. After seeing the demo of all RO water purifiers, I came to a conclusion that Livpure is the best RO water purifier in India. Livpure uses semipermeable membrane which eliminate finest traces of impurities. It eliminates heavy metals and pesticides. Thus, it prevents all water borne diseases. Livpure's Reverse Osmosis gives you the goodness of pure drinking water. Price of Livpure RO water purifier is nominal. Moreover investing in water purifier is not an expense it is an investment. Investment towards healthy life. Livpure has variety of RO water purifiers. It has various colours and it sets as per your preference. Livpure gives option whether you want a wall mounting purifier or Table top purifier or two in one. They have under the sink purifier as well for your lager needs of drinking water. All these options are cherry on the cake of quality which livpure provides. Livpure is a combination of quality RO water purifier and variety of preferences to suit your needs. And that combination makes Livpure best RO water purifier in the country.